And the day has come, when we get to get colored up and happy. It’s Holi-day!! 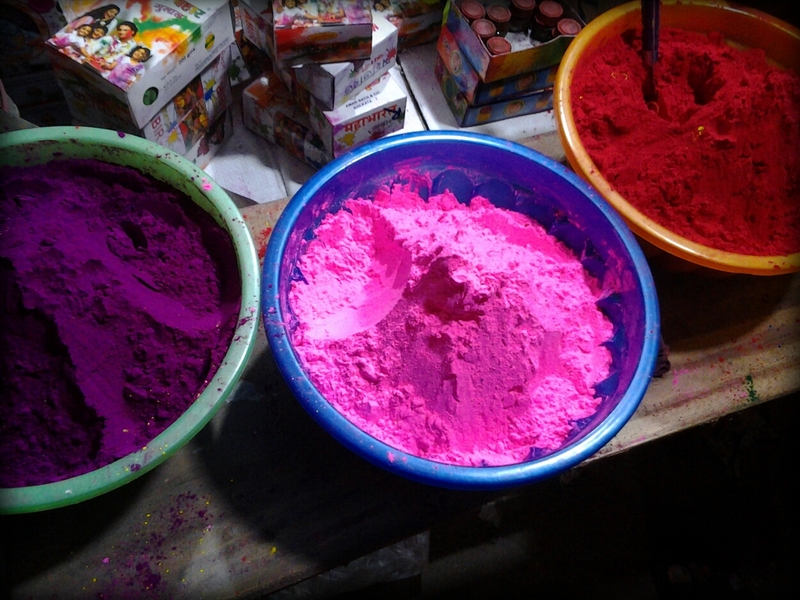 For all those who do not know what Holi is, it is a vibrant Indian spring festival of colors. It marks the ends of evil and a new colorful start. This festival also has a Hindu mythological significance. It is said that long ago there lived an evil king, Hirankashyap who did not believe in God. His son, Prahalad kn the contrary was a huge devotee of Lord Vishnu. His father did not approve of his devotion and ordered for his son’s death sentence. But miraculously, however much Hirankashyap tried, his son escaped. He went to the extent of setting up his sister, Holika (who had a boon of immortality) to set ablaze Prahalad. When she tried, Prahalad was safe but Holika burnt to death. It was Prahalad’s faith in God which saved him. The night prior to holi, hence, there is a bonfire which signifies “Holika Dahan” (Burning of Holika). Thus holi is all about the spirit of positiveness, good faith and a whole new start. Since this festival involves a whole lot of colors on your skin and hair, it is important to take special care. Here are a few pointers which will keep your skin and hair happy while you have a blast. Do not leave your hair open. Choose from any of the classic hair-dos or even the fun ones, but keet it tied preferably in an updo. Its advisable to use oil in your hair. This prevents the colors from affecting your hair directly. You can add a fun element to your hair, like a flower. Protect your nails by painting them with your favorite color. Makes your nails color bright and also protects them from the harsh colors. Sunscreen is a MUST for you skin. All that playing in the sun is surely goig to give you a bad tan. Also, it is a good idea to wear a thick base as the colors go superficially on your base instead of your skin. Carry a colorful scarf to pretect you hair. It also adds colorful style quotient. Wear comfortable clothes. Last but not the least, do not forget to freak out and have fun. Happy Holi to all my dearies! Be safe and get drenched in colors. I’d like to see some photos from this Spring festival! Right away in my next post!